For a while Crickett has been the household name for a pint sized .22LR starter rifle, but that’s all fixing to change with Savage Arm’s new “Rascal” series. The first thing most shooters will notice when they see the Rascal is that it contains Savage’s admired AccuTrigger. This is quite impressive for a youth-sized single shot .22. In addition to the manual safety the AccuTrigger ads an invaluable safety option to this rifle, but best of all is the crisp break. Trigger control is everything for shooting accurately and younger shooters will be able to pull off much better shots with a light, crisp trigger. The one I tested came set at 3 pounds. Some folks might think that is too light, but you’ll need to remember the strength of the little shooter’s index finger for which this was designed. But if you want it heavier, simply insert the adjustment tool and give it a few twists until you find it to be to your liking. The Rascal’s bolt is also very user friendly. Whereas older designed .22’s required the young shooter to work the bolt, and then pull a cocking knob, the Rascal’s is all internal. This makes the rifle less complex and safer to operate especially when you consider a younger, less coordinated marksman attempting to decock a bolt while manipulating a trigger in an attempt to unload the action. My son naturally picked up the bolt action and also had no issue dropping cartridges on the feed ramp each shot. The rear peep aperture was easily adjustable for both windage and elevation, and once again, I was pleasantly surprised how naturally my kids picked up this concept. The rifle was also surprisingly accurate, after a few small adjustments I was able to hit a golf ball every shot at 15 yards. Shots at that range presented a half-inch group with cheap bulk ammunition, and that’s also with a full size shooter attempting to shrink himself down to utilize the child sized stock. Although I firmly believe in teaching shooters the basics of iron sights before adding a scoped optic, the Rascal does come drilled and tapped to accept optic mounts. In addition to the small-scaled stock the rifle is also lightweight tipping the scale right under three pounds. And as another added feature, it comes in almost every color of the rainbow: black, blue, green, red, orange, pink, yellow and of course wood. Some critics have expressed displeasure in making stocks “fun” colors. 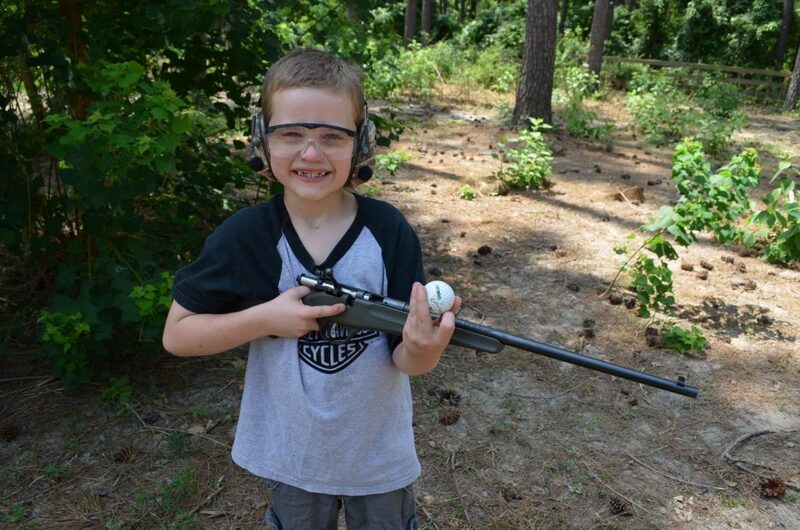 So for those Mayor Bloomberg like-minded folks I’d encourage you to train your children the basics of firearm safety and practice safe storage. 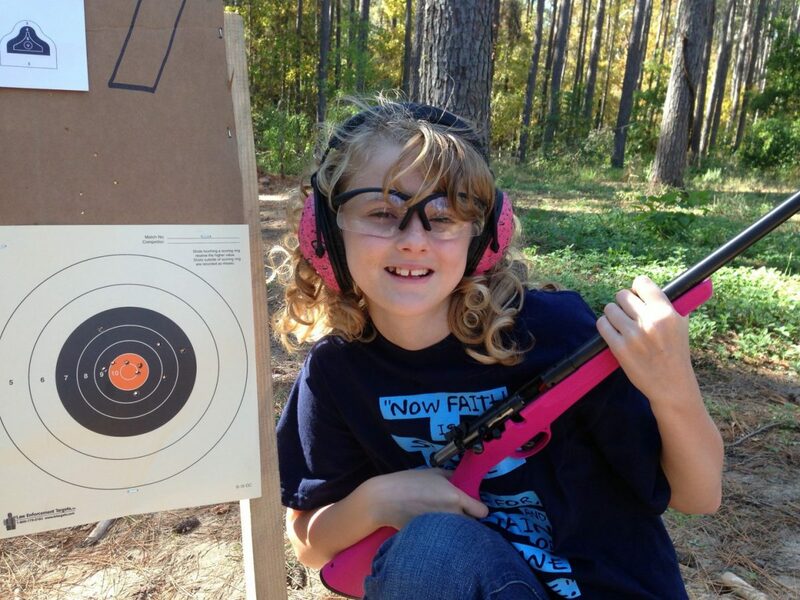 Because I believe my daughter is going to love her pink rifle and treat it just as safely as if it were an “evil black rifle”. 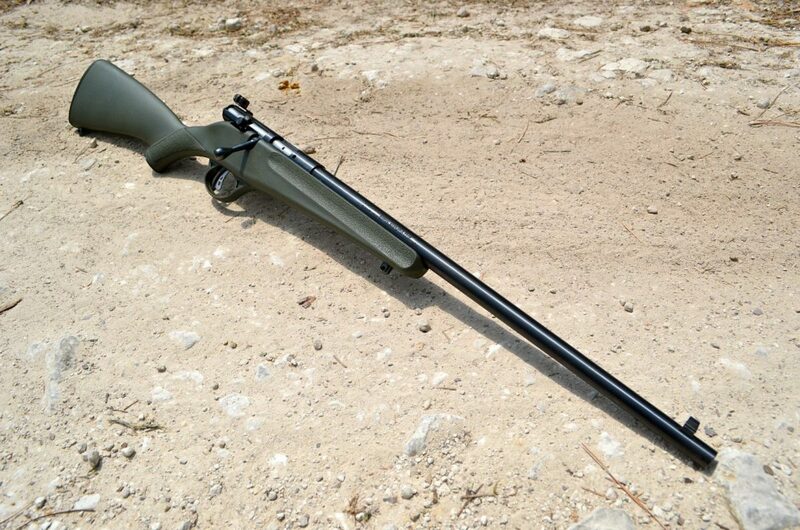 Savage’s new Rascal is the perfect starter rifle for that new shooter you are training up. Retail price is $174 for the colored option composite stocks and $213 for the wood stock. An excellent value for a rifle designed for younger shooters and full of great features that should last until the next generation.